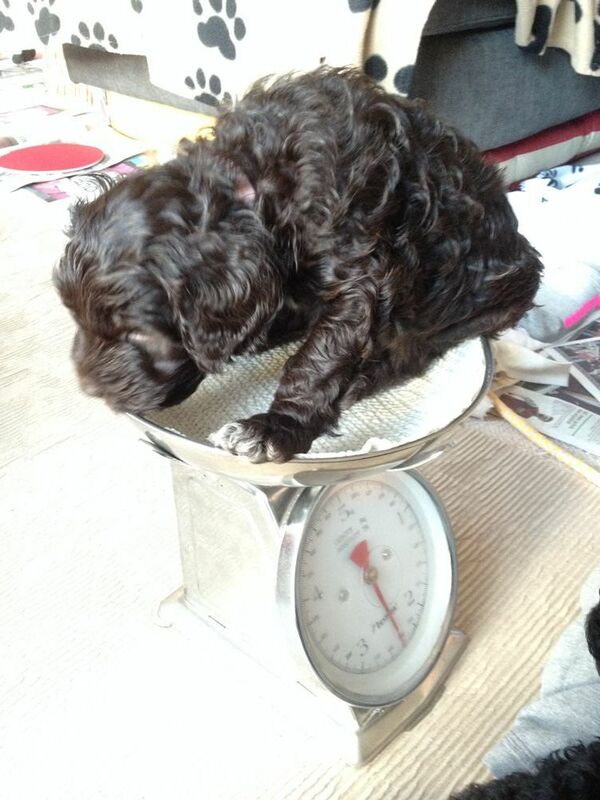 The puppies now weigh between 2500 and 2800 grams. They eat 50 g / kg weight raw meat mix for puppies per day, and still drink from Yatzie now and then. 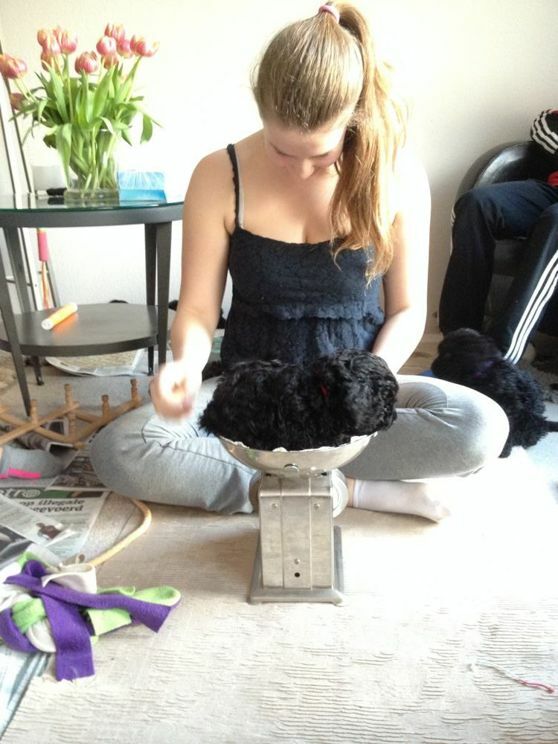 It is not easy to weigh them on this small kitchen scale but Anna does it well!